As this is my 45th and final year as Festival Director, I hope I may be allowed to reflect on some of the developments that have taken place in Stour Music since I took over the reins from my father, Alfred Deller, the founder of the festival, in 1975. 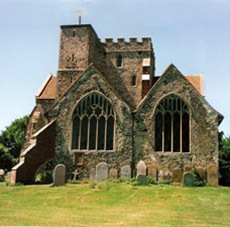 In the early years of the festival, from 1962 to 1973, concerts took place in a number of venues along the Stour valley from Ashford to Canterbury, including the churches at Ashford, Wye, Boughton Aluph, Chilham, the Chapter House at Canterbury Cathedral, and at Olantigh, the lovely country house near Wye. Audience numbers, however, were constrained by the relatively small capacities of most of the venues, especially at Olantigh, so in the late 1970s, I took the decision to concentrate all the festival concerts on the beautiful Pilgrim church at Boughton Aluph, with its wonderful acoustic, and where we are able to promote the best of early music concerts to a much wider public. The festival had traditionally programmed its concerts over two weekends and throughout the week in between, but it was always difficult to maintain audience numbers for the midweek concerts, however ‘starry’ they might be. So in 1980 I decided to concentrate the concerts around the two weekends, at the same time introducing the now familiar Late Night Extra concerts. That formula has proved both popular and successful, and has continued to this day. 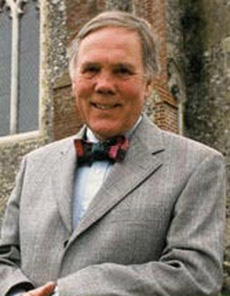 Although principally an early music festival, from the beginning Alfred had the idea that Stour should also champion the work of contemporary composers, commissioning new works from Tippett, Rubbra, Wilfred Mellers, Alan Ridout and others, and that policy has continued throughout my time as director, most recently with Matthew King’s community opera The Pied Piper in 2015. 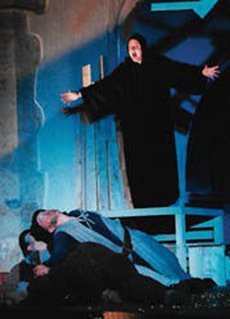 There have also been memorable productions of two of Britten’s Parable Operas, The Burning Fiery Furnace and The Prodigal Son, as well as Alan Ridout’s The Pardoner’s Tale in 2011. For my final festival programme it is a real pleasure to welcome back a number of Stour favourites and loyal supporters of the festival over many years: Harry Christophers and The Sixteen, in their 40th anniversary year, Trevor Pinnock, Rachel Podger and Brecon Baroque, I Fagiolini with a production of Monteverdi’s Orfeo, and tenor Mark Padmore, for (on my part) a particularly selfindulgent programme, that includes Britten’s Serenade for tenor, horn & strings, Finzi’s Dies Natalis, the Vaughan Williams Tallis Fantasia, and Tippett’s Concerto for Double String Orchestra. And as usual, the festival will culminate with the Festival Choir, which has been an integral part of Stour Music since the beginning, performing Bach’s Magnificat in D, a work the choir sang in the very first festival 57 years ago.